The Bruhat Bengaluru Mahanagara Palike (BBMP) had on January 21st released new tenders for Solid Waste Management( SWM) in Bengaluru city. However, the tender faced criticism from different quarters including several BBMP Corporators, Members of Legislative Assembly (MLA) and BBMP Contractors. As a result a committee was been constituted to study the tender and recommend changes, and the committee has now decided to go ahead with no changes in the tender. What does the new tender say ? 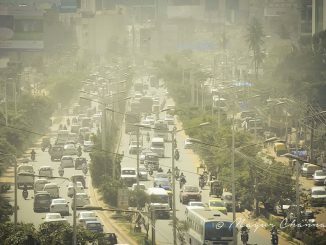 The new tender calls for proposals in all 198 BBMP wards for daily “Primary door-to-door collection and transportation of segregated wet waste, sanitary waste and street sweeping waste, and Secondary transportation of segregated wet waste and street sweeping waste.” The contract period is for one year which is extendable by the BBMP for a maximum of another year. As per the tender, a bidder is allocated a maximum of five wards with one ward being considered as one package. In the earlier system there were 89 packages, with two or more wards combined. Reports have pointed to instances where one contractor had procured 54 packages. Several eligibility criteria have been set out for the contractors, including at least a year of experience in door-to-door and secondary transportation of solid waste in the past three financial years. The contract can be terminated if either party defaults on its obligations. In addition, the BBMP can terminate the contract of the service provider in the ward if the Corporation is able to procure infrastructure such as auto tippers and compactors during the contract period. What has been the opposition to it ? The clause of termination of the contract within the agreement period has raised concerns. A senior contractor told the media that this provision can be used by Corporators to remove and replace them with service providers that are close to them. Councillors including Padmanabha Reddy of Kacharkanahalli ward, Manjunath Raju of Kadu Malleshwar ward) and Bommanahalli MLA Satish Reddy raised the issue during the BBMP council meeting on 29th January. They argued that the local elected representatives weren’t consulted prior to the formulation of the tender. They questioned the rationale for having a tender that focused only of wet waste, sanitary waste and street waste; and left out dry waste. “Who will collect the dry waste? Will there be a separate tender for that?” questioned Padmanabha Reddy. He said that having the contract for just one year wouldn’t encourage new players to participate as with the initial investments they wouldn’t find it worthwhile. He added that old contractors would benefit and procure the bids. The ward-wise allocation of auto tippers and compactors was questioned by Manjunath Raju, who provided examples where more populous wards were designated less number of vehicles. 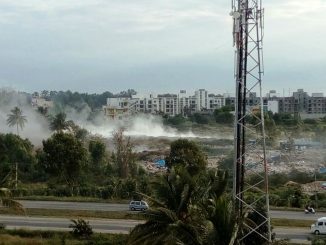 Satish Reddy suggested that the tender be formulated in a manner where the same contractor would collect different kinds of waste; with the dry waste being collected separately. In his response to the questions raised during the meeting, BBMP Commissioner Manjunath Prasad said that they had in the past received several directives from National Green Tribunal (NGT) and the High Court of Karnataka on the processing of waste in the city. The aim now is to try to manage waste in the city in a scientific manner. He said that even if people were segregating waste at their homes, it was getting mixed during collection. Separate collection of dry and wet waste would ensure that they are not mixed. He said that rag pickers, self help groups and NGOs would be encouraged to collect the dry waste twice a week. Rag pickers associations were currently operating and collecting the dry waste in about 36 wards, and a lot of groups have shown interest in collection of dry waste, he added. Ragpickers also had something to say on the matter. About 8,000 waste pickers, represented by Hasiru Dala and Clean City Recyclers Association (CCRA) wrote to the BBMP Commissioner regarding this. They explained that while the dry waste gets picked up from homes separately, the amount of waste on streets goes down, as a result waste pickers lose their livelihood. They requested the Commissioner to integrate them into the system, by involving them in dry waste collection. They also sent about 1000 post cards to Mayor Gangambike and leader of opposition at BBMP Padmanabha Reddy, requesting them to allow rag pickers to continue door-to-door dry waste collection. A committee was formed that to study the tender and suggest changes. He added that suggestions will also be taken during the pre-bid meeting. The committee had 15 members including the Mayor, Deputy Mayor, BBMP Commissioner, former mayors, corporators and officials from the Solid Waste Management cell. The committee had its first meeting on February 6th. During the meeting there was general consensus that the tender should be limited to wet waste, sanitary waste and street waste. The collection of dry waste will be handed over to rag pickers and NGOs. A second meeting of the committee is scheduled for February 11th. With the committee meetings in progress, the tender schedule has been shifted with the pre-bid meeting to be held on the 21st of February, and the last date for sending bids for the tender being extended to March 3. However, in the past, when the BBMP made it mandatory to install GPS in the garbage transport vehicles, the contractors refused to bid for the tender. 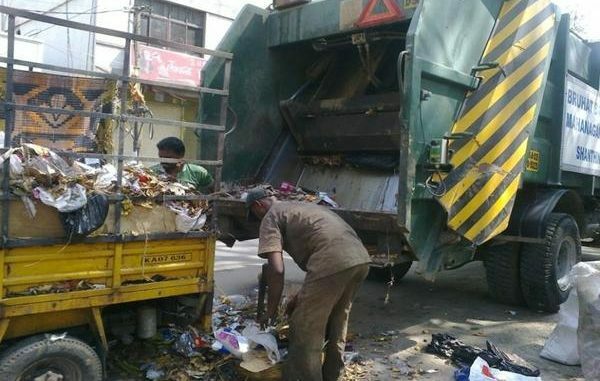 The BBMP was forced to get the waste cleared directly through departmental contract, from the same contractors. Whether this tender will receive enough responses remains to be seen.